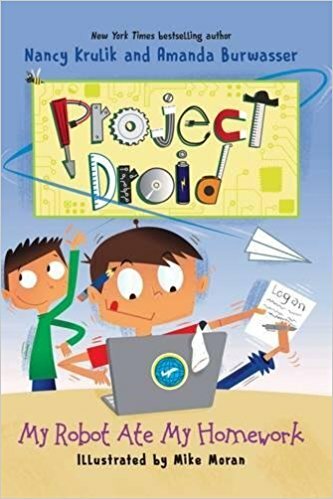 I received a copy of Project Droid: My Robot Ate My Homework from Sky Pony Press to review on my blog. 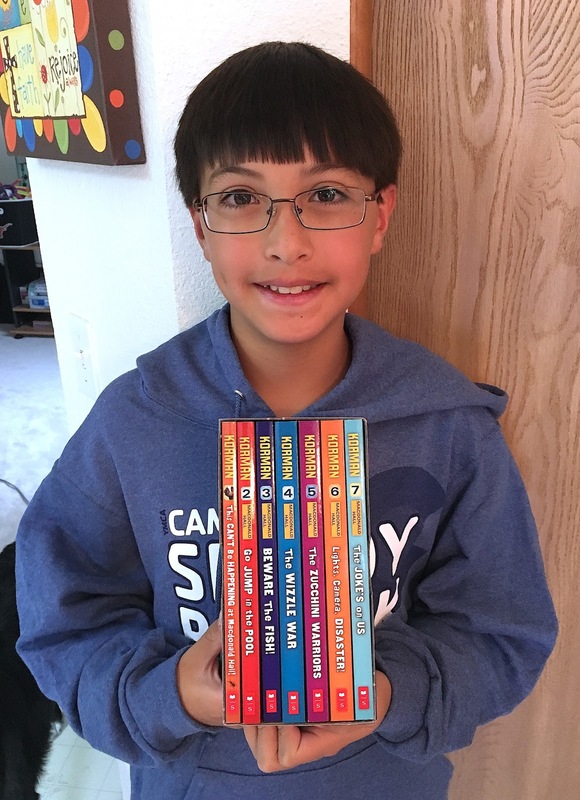 I want to thank Sky Pony Press for all the cool books they have sent me. 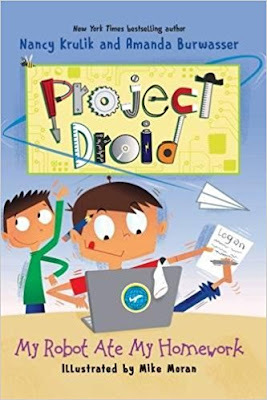 Project Droid is a series of books and My Robot Ate My Homework is the third book in the series. This book is about a boy named Logan. He was an only child until his mom invented a robot cousin that acted like a human. Java (the robot) acts pretty normal, but sometimes takes things too literally. Logan isn't the smartest kid in the class, so when he tricks Java into doing his homework for him, it seems like a great idea. But when a geography bee about their homework assignments comes up, Logan regrets not studying. Now Logan must figure out how to win the geography bee and prevent being labeled a cheater. I found this book to be a great story. I especially liked how Java took everything so literally, like hitting a high note but with your hand. It was funny how something seemed like it would be easy, but the choice of words makes it so different and caused problems for Logan and Java. My Robot Ate My Homework was a really fun book that made me want to continue reading the series. I am going to have to go to the library and check out the other books in the series. 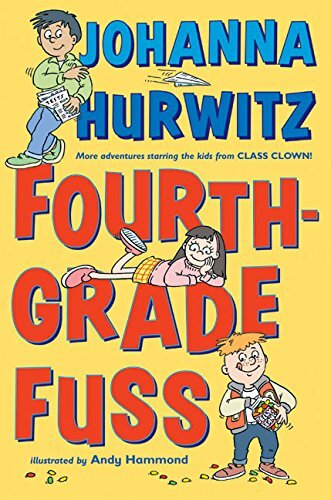 I think this book series would be good for older elementary schoolers or as a first chapter book series for anyone who likes funny books. This book is about a boy named Griffin, who is known in his town as the man with a plan. When Griffin and his best friend Ben make a plan to stay overnight in the abandoned Rockford house that is about to be destroyed, Griffin hits the jackpot when he finds a old baseball card. He assumes it will be worth millions, but when a collector tells it isn't worth much and buys it for cheap, Griffin is down hearted. A few days later, the collector appears on TV boasting on how much money he is going to make off the baseball card. The man with a plan will not let him get away with it, so he is going to steal it back with a team of friends and enemies. But obstacles stand in their way--like an enormous guard dog, a high tech security system, and the card's secret hiding place. This book was a really good combination of a thriller and a mystery novel. I liked how no matter what happened, Griffin always had a plan. I really loved Luthor, the guard dog, he was a cute addition to the story. There are seven books in the series and I can't wait to read them all. Breaking out the dogs from the local pound. And stopping the evil mastermind guinea pig. Will the bad guys complete these tasks and be heroes? I think this series is hilarious! 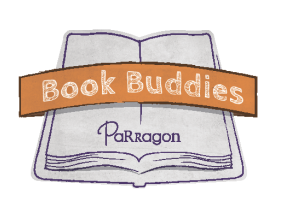 All of the books are action packed and full of laughs. Even in life or death situations, the author makes it funny. I also like how the evil mastermind is a guinea pig who hates cuteness even though he is adorable. There are already four books in the series and two more in the making. 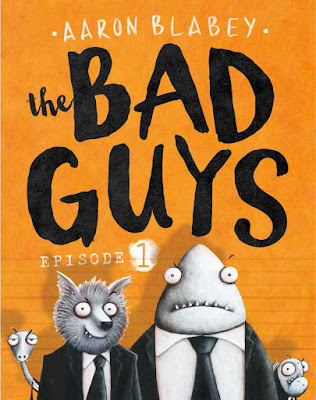 I can't wait to continue reading the adventure of the Bad Guys. When video game expert and everyday slacker, Cameron Boxer, gets so wrapped up in a game, he almost lets his house burn down around him. His parents say he has to join a club after school or he won't get to compete in his dream video game competition, Rule The World. He and his two best friends make a fake club called the Positive Action Group. Instead of doing good deeds, they slack off and play video games. But when some other people want to join and the guidance counselor wants in on this club, Cameron must turn their slacker club into an active club devoted to helping others. This book showed me how much a person could change because of one simple thing and illustrated how a middle schooler's life could actually happen. 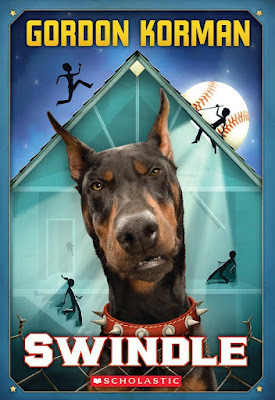 A lot of Gordon Korman's books are about things that could happen in real life to ordinary people. When I read this book, it seemed like I was in the book and I could understand what the main character was going through. 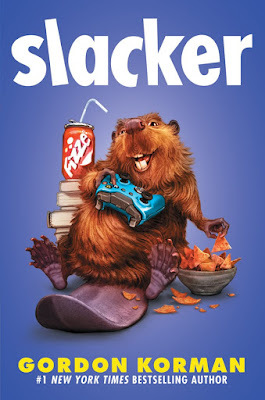 I really enjoy Gordon Korman's different series and this book was a good single story too! I was just browsing the library shelves when I picked up this book. The cover illustration looked cool and I decided to check it out. 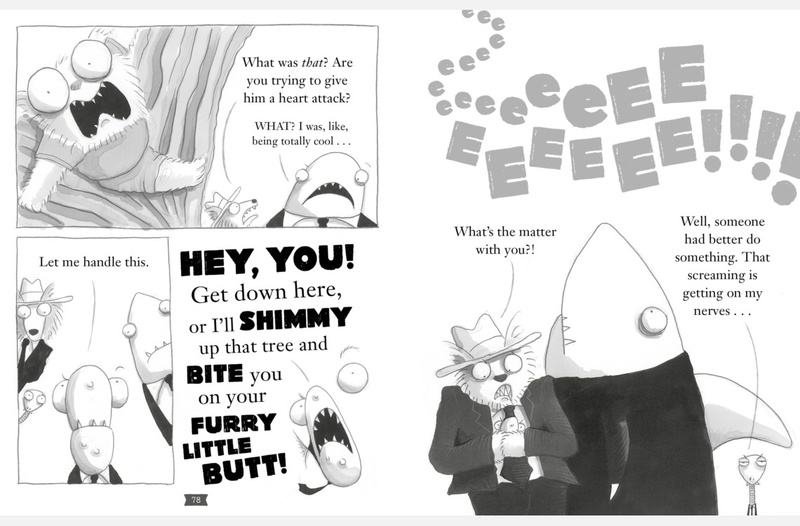 This story is about a 10 year old boy named Julio Sanchez and his hilarious, jellybean-loving friend, Lucas Cott. When Julio gets put in the rumored smart kids class, he begins to worry about the tests he will have to take at the end of the year. Lucas is calm and tries to help Julio not worry about it. Julio doesn't think he will be prepared for the test. It doesn't help his nerves when all the other classes start prepping for the test. Will Julio fail the test? Will he have to repeat fourth grade? And will Lucas eat enough jellybeans to survive? This book was quite funny. I liked how there were a couple of stories that all were part of the picture. The characters in this book could accomplish a lot for being in fourth grade. I enjoyed the problems Julio had to face and overcome. I think the author did a really good job writing a book that appeals to both boys and girls.